This brand new Brick stone beauty offers 4400 sq ft +/- and has outstanding pastoral views from the large rear patio. Amenities include top Whirlpool 5 burner natural gas range, microwave, stainless steel hood, dishwasher and disposal, ship lap above the stone fireplace that reaches to the crown molding, master suite and second bedroom with private baths ensuite are located on the main floor. 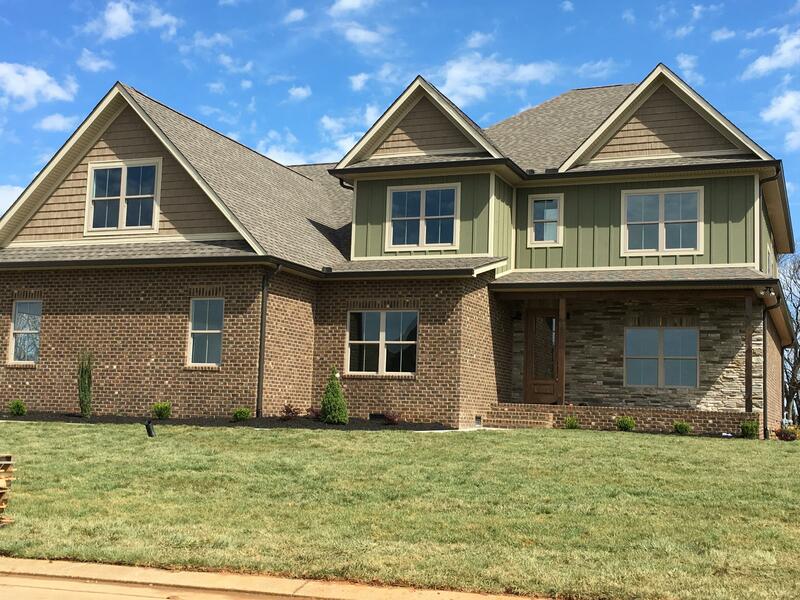 Formal dining room or office, open floor plan with large granite island, white shaker cabinets, granite counter tops in kitchen, butlers pantry, large master closet with private door to the laundry room, mud room, beautiful hardwood floors in master,living and bonus rooms. Family room upstairs is carpeted along with two more bedrooms, walk in closets. french doors to covered back deck. Don't wait!